Dr. Melinda R. Weathers is an Assistant Professor in the Department of Communication Studies at Clemson University. Her scholarly interests include intercultural communication, interpersonal communication, gender and women’s health issues, climate change and public health, and new communication technologies. Dr. Weathers’ research has encompassed a range of topics addressing issues related to messages within relational, institutional, societal, and health contexts. Specifically, she has explored communication-related issues between doctors and patients, Hispanic caregivers and older adults, and in heterosexual dating relationships. Ultimately, her research seeks to better understand how effective communication relates to the wellbeing of persons and society. She has published in journals such as Howard Journal of Communications, Communication Studies, Patient Education and Counseling, Environmental Communication, and Communication Education. Her research has been recognized through top paper awards from the National Communication Association and Central States Communication Association. 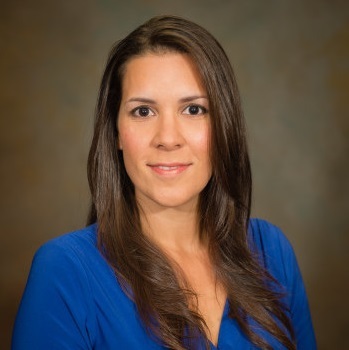 Dr. Weathers received her PhD in Communication from George Mason University, a master’s degree in Speech Communication from the University of Houston, and a bachelor’s degree in Speech Communication from Texas A&M University.